The Gigaset C620A is a convenient and user-friendly phone featuring a 1.8" full-colour screen offering you direct access to a multitude of useful functions. Included with this package is the C565 headset from Plantronics for comfortable hands-free communication. 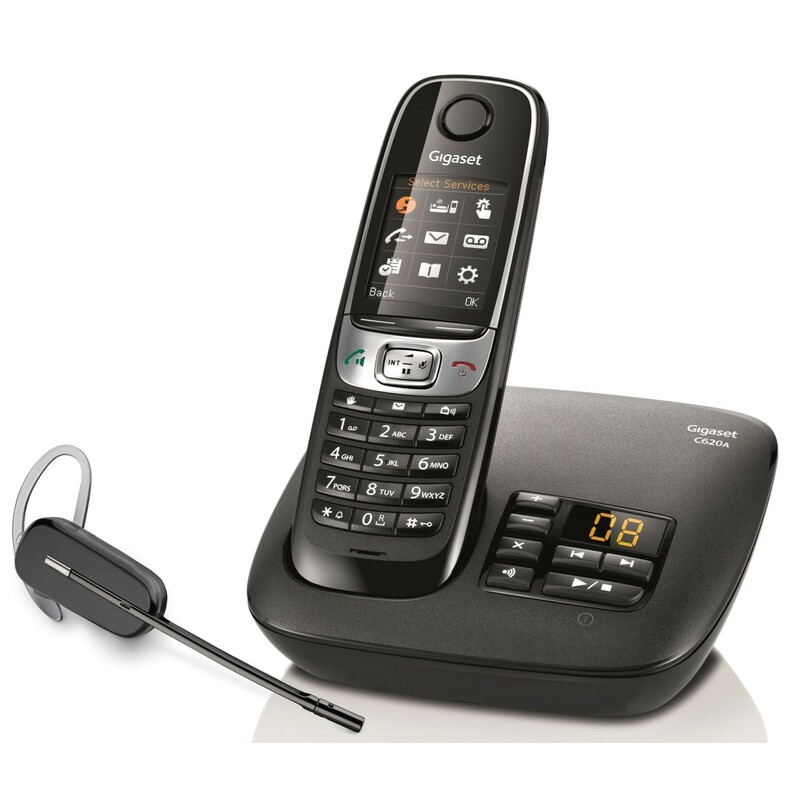 The Gigaset C620A's answer machine can store up to 55 minutes of voice messages, making it an ideal solution for those who spend a lot of time away from home. When you receive a new message, LEDs will light up on the base station to keep you informed. This DECT phone also offers time-controlled and customizable call silencing so that you won't be disturbed by phone calls at unsociable hours. You can even use the phone as a baby monitor complete with a talkback function. With its clear sound and innovative range of features, the Gigaset C620A is the perfect family phone.